We have people on our courses from all walks of life – private sector, public sector, third sector, social enterprise, senior manager & Directors, through to those just starting out on their career or business venture – NLP attracts people from all walks of life and is flexible enough to be able to offer something to everyone! We’ve got courses running regularly so you’ve got choice over where & when you train – access our course dates here! The NLP Business Diploma is aimed at people in business who want to improve their business skills by gaining a better understanding of how people think and communicate. It’s for people who want to understand Colleagues & Customers better! Business Leaders & professionals are well aware that to be successful they need soft skills to compliment technical competency – business is all about people and NLP is perfect for helping people learn and grow in the people space! Maybe you’re a coach, line manager, professional, project manager, influencer or perform another role within a business – this course is for you! The NLP Business Diploma course is designed as an introduction to NLP for people who are curious about how NLP can assist them in a work context (no prior NLP knowledge is required!). The NLP Business Diploma not only starts to allow you to learn more about people and how the mind works (whether that’s colleagues, customers/clients or those more senior to you), it also gives you a good grounding in some of the skills set and ways of thinking that Leaders around the world have enjoyed for years. We firmly believe this course will give you more ‘tools in your toolkit’ (it starts to unpack some of the things that many leaders do, sometimes even unconsciously – an understanding of NLP has given many leaders the edge in the workplace – they just might not label it NLP). Why Choose An NLP Business Diploma Course? Would you like an extra boost in your career or business to take you to the next level? Would you like to learn some skills that will allow you to boost your business and help you get the edge on your competition? Do you want to truly understand communication so that you can become a better communicator or better influencer? Would you like to learn some ‘real’ presentation skills that will transform the way you present or speak publicly in order that you can impart your message more effectively? How about learning about other people’s ‘model of the world’ and thus become a better negotiator because you can understand where the other person is coming from? Maybe you’d like a model to help you better manage or resolve conflict? Perhaps some skills to help you better manage, coach, influence, advise or appraise your team? How would it be if you better understood what motivates people? – imagine what a difference this could make to you as a line manager, a business owner, a leader or other professional in business? 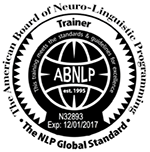 Maybe you know a little about NLP already and want to find out a bit more prior to committing to the Certified 7 day NLP Practitioner course? What’s Involved & When Can I Do It? None – just an attitude of curiosity and a willingness to learn. Thank you Laura for the past 2 days – I got more than an intro into NLP and have brought home some additional business marketing goals. Certainly interested in taking further for personal development & CPD/client work/Coaching. We are passionate about sharing how effectively a knowledge of NLP can aid success in all areas of people’s lives – including business. Our aim by offering the NLP Business Diploma is to offer people a highly valuable and quality experience of NLP – we do not want this to be a seminar, we want people to go away with skills they can put into practice straight away. Places are £250 (inc VAT) per person including course manual and certification. You can bring a friend or colleague for £125 (half price) – making it £375 for two people! Why book our NLP Business Diploma Course? 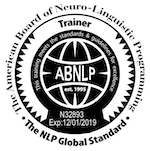 If you want to get an introduction to NLP and learn some of the foundation NLP skills with an experienced and qualified NLP trainer (accredited by the largest NLP governing body in the world – the ABNLP), you are in the right place! 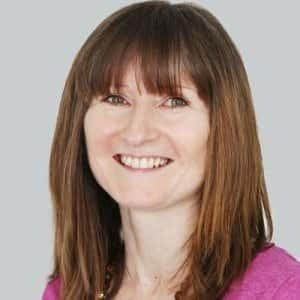 In addition to her outstanding NLP credentials, Laura spent 15 years in corporate life before setting up and running her NLP Training business, and is often complimented on her ability to share with others how NLP can easily be applied in various business contexts with great success & results. With her more recent experience of running her own business, so is able to also share with Business owners and Directors how it can benefit their overall business success, regardless of company size. What will I learn on the NLP Business Diploma course? The NLP Business Diploma course is designed as an introduction to NLP for people who are curious about how NLP can assist them in a business context (the skills we teach on this course are of course also transferable into everyday life). 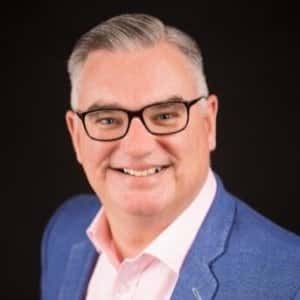 Our aim is that you leave with some really practical skills and techniques that you can implement immediately in your business, organisation or career. Goal & Setting Outcomes which work! NLP Presentation Skills – learn how to structure your message for the most impact and the do’s and don’ts of delivering it! This applies to presentations, public speaking, brochures, websites etc. Perceptual positions – a fantastic tool for building self-awareness, resolving conflict or being able to look at a problem or scenario from different angles (giving you new insight) and more! Values -start to learn about one of the filters of the unconscious mind and how they determine your (and other people’s) focus and motivation. Understand how you can use values in business and sales. Understand how you can maximise people’s potential by understanding what motivates them (and/or de-motivate them). Do you accept Re-Act Funding (Wales)? Yes, we are delighted to offer people in Wales who have been made redundant the opportunity to complete their NLP Practitioner course using Re-Act Funding. To find out more about Re-Act funding click here or contact Lyn to find out more. Do you offer discounts if I book multiple courses? Absolutely. At Unleash Your Potential Ltd we believe in offering our customers increased value when booking additional courses. If you book your NLP Practitioner course and NLP Coach course at the same time you’ll save money. The more you book the more you save!! Contact us for details. As soon as you invest we will send out your confirmation of booking. The beauty of this course is there is no-pre course study, so you can just join us on the two day and soak up the course content. You’ll find us approachable, helpful and friendly all the way through your experience with us – we can’t wait to see and hear how you can use what you’ve learned to improve you results! What's included in my course fees? How many delegates are on each course? Our aim is to offer people a highly valuable and quality experience of NLP. To ensure that this is possible, we limit attendance at these events to a maximum of 18 delegates. We anticipate high demand for these high quality courses, therefore we encourage you to ACT NOW! – you can check out our next available course dates on our Course Schedule page. Anyone curious about NLP in a business context. Any Employee, Manager, Head of Department, Director or Business Owner will gain huge value from this course regardless of their specialism, profession, qualifications, experience, or industry/sector. Even if you’re not in business you would find huge value in attending this introductory level course as all the topics can be applied in many other contexts. We take all bookings over the phone so you can call Lyn on 02920 023311, email us at info@unleashyourpotential.org.uk or contact us though our website here.